Delving into Peruvian flavours - CHOMP! SLURRP! BURP! Over the years, as a community, we have been exposed to a lot of different flavors – the Chinese food coming in as Chinjabi, and desi pizzas. To having a more distinct palette of Japanese food and appreciating the nuances of French, Mediterranean and more. And even though Delhi has become the exemplar of world cuisine, there are still so many yet to be unearthed. And one such cuisine was that of Peru. With only one restaurant serving Peruvian selection in Delhi – Virat Kohli’s Nueva, I was a complete novice to the palette and flavors. The art gallery of Embassy of Peru. We gathered for an interesting evening, unveiling the cookbooks and cooking some of the best of Peru. 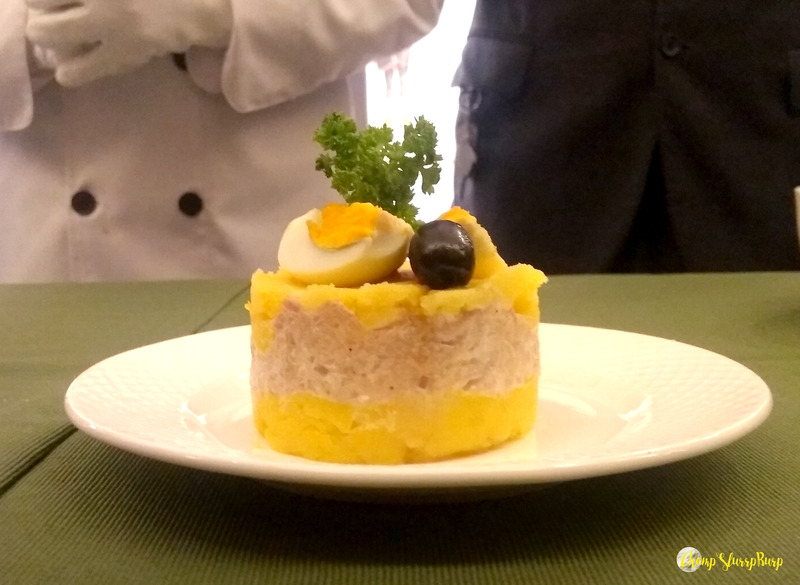 We started with a Causa – a traditional mashed potato layered dish – creamy mashed potatoes, creamed tuna, topped with olive and olives, served cold. This was my favorite dish from the lot, topped with loads of olives, and a great mix of carbs and protein – potatoes and tuna, Causa fills you up real good! 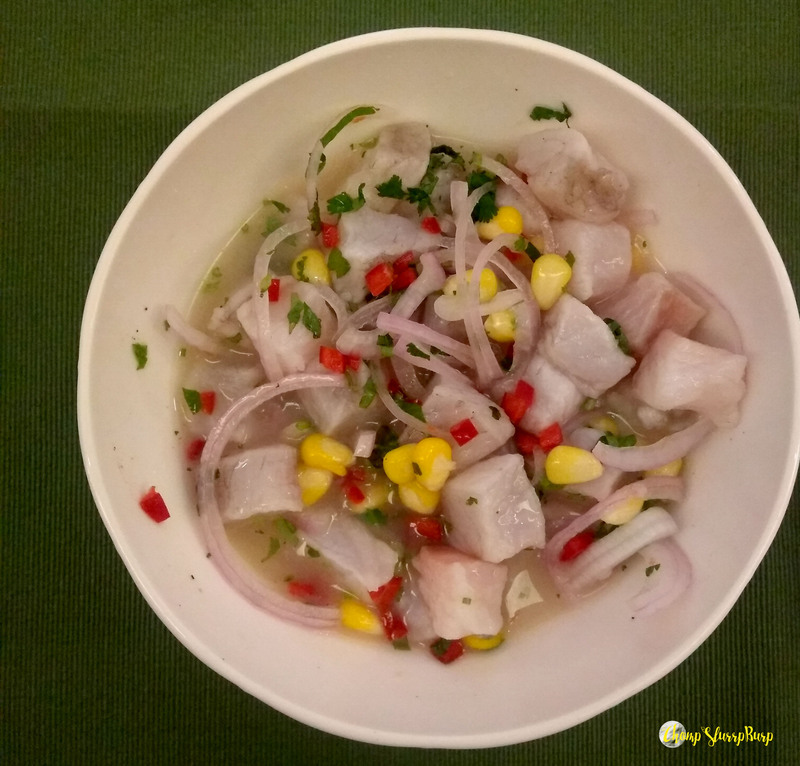 Ceviche – a cold raw fish dish, the fish cooks slightly in lemon juice and is tossed with corn, bell pepper, and onions. 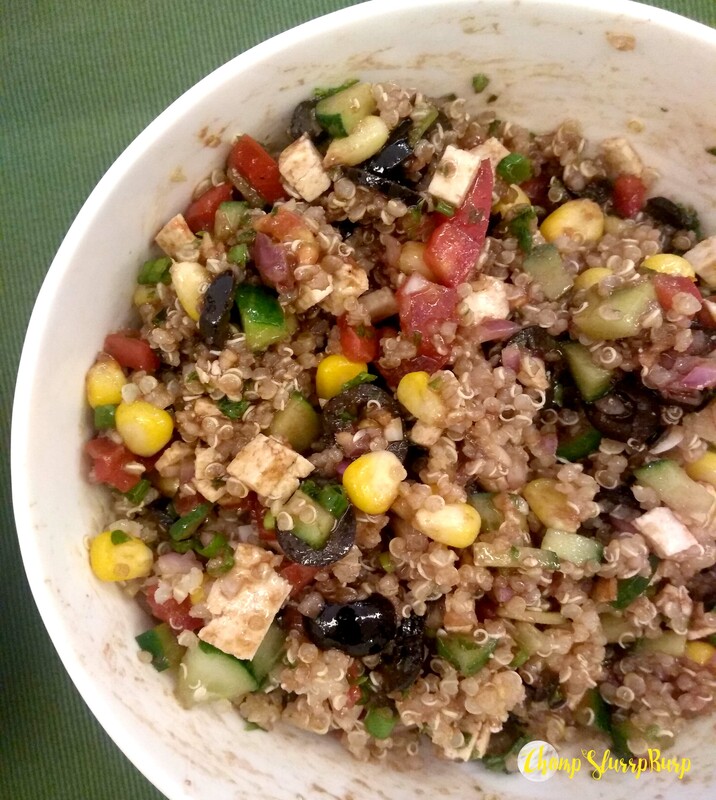 Quinoa Salad – Peruvians LOVE their quinoa, and are the best producers of this superfood. This quinoa salad is topped with crunchy vegetables and a light salad dressing. 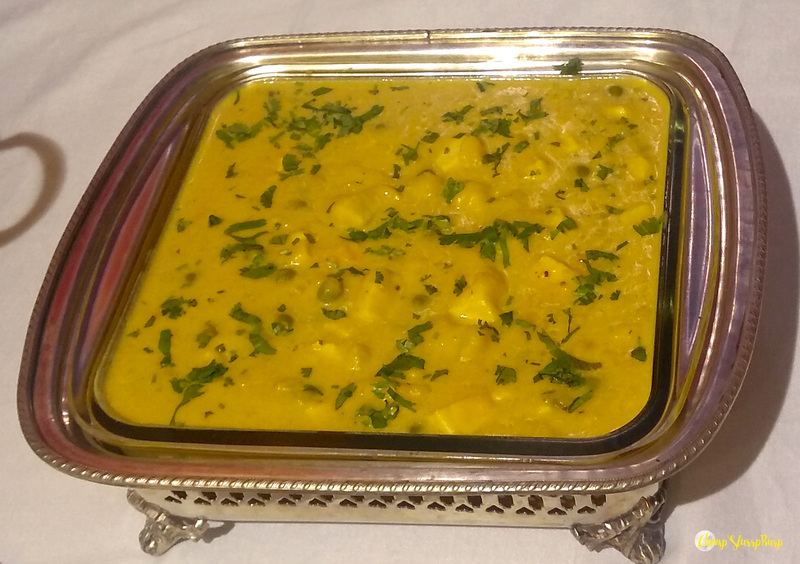 The most noteworthy mention has to be the pumpkin stew – soft pumpkin chunks, cottage cheese, and sweet corn. A light and creamy gravy and such an interesting take with such local ingredients. As it so happens, a lot of Indian and Peruvian ingredients overlap and has a lot of superfoods – avocado, quinoa, purple corn. 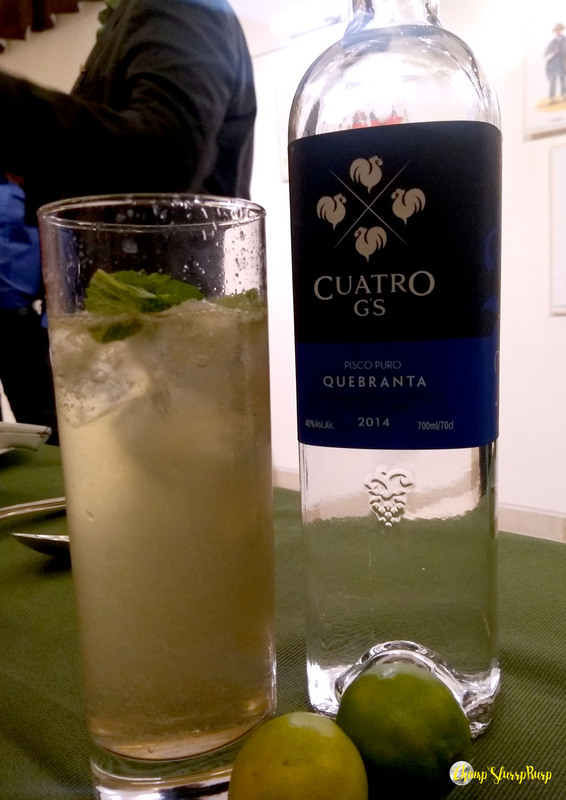 And of course – the national drink of Peru – Pisco! Much like wine, but Pisco is made by distilling grape juice and converting it into a high proof spirit. Pisco with a dash of lemon juice, mint and topped with soda, the perfect summer thirst quencher. My first experience with this cuisine was absolutely amazing, Causa and Pumpkin stew were my favorites. Cannot wait to try some of the recipes at home.